– what is leadership for you? 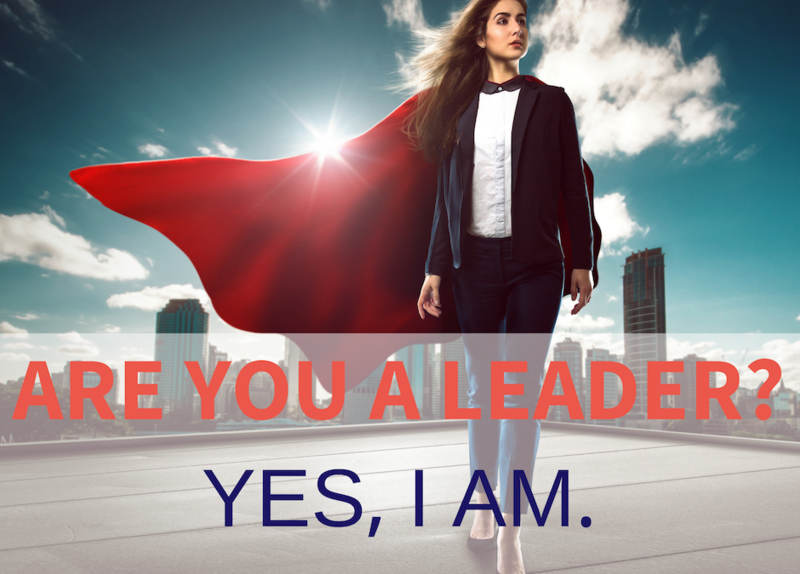 – are you a leader? To the second question, I usually see a glimpse of fear followed by a nervous chuckle then they look left and right (I actually need to figure out if they are looking for a quick getaway or to check if we can be overheard). When the answer finally arrives it is not as constructed as the leadership one: a lot of “yes, but”, “kind of”, “it depends”, “I’ve actually read a book…”, with some apologies peppered here and there. Be reassured as a trained and certified coach, member of the EMCC, I do NOT say that but… it often crosses my mind, even for a few nanoseconds. I guess it’s my gut-reaction when I see women being their own worst enemy. The “good girl” syndrome is killing so many potential female leaders. It must be eradicated and we are the only ones who can do it. What’s the “good girl” syndrome? The way that we continue to behave in the workplace like we did at school: work hard, get good marks, don’t challenge too much, follow the rules and you will be recognised. The teacher will hand out praises, mum and dad will be pleased and you will feel recognised and valued. Today it’s a fact that girls perform better academically yet it doesn’t translate in the workplace. I invite you to read this HBR study, lenghty but very interesting on the achievement between male and female Harvard graduates. I take a familiar example: both my children (proud mama moment!) are in top stream classes, in both cases girls represent 80% of the pupils! 80%! In 20 years time will this translate in 80% of top management roles being held by these same girls? Unfortunately, based on today’s situation it is unlikely. What to do? Sit yourself down, assess how badly infected you are by the syndrome and REBOOT. 1/seek out your OWN recognition: What are your successes? Can you, off the cuff, describe YOUR talents? You must be able to assess your value and the value of your actions in a neutral manner. This will enable you to manage the next point. 2/Ask for what you want in a clear, fact-based manner. It’s not easy and require practice so… get practicing! We must stop feeding the clichés around women in the work place. Here’s one: “Women are emotional”, what does that mean? Every human being needs emotions to function so men are emotional too. And that’s cool, emotions are a warning system: an emotion is informing you of how you are reacting to an event/situation: fear, anger, joy… That’s it. On the whole women are no more emotional than men, there will be exceptions but these can be found in either gender. Carrying on this cliché is damaging for both sexes as it’s also telling men that if they have/show emotion they are not “real” men. Here’s an article on how to use your emotions at work. My favourite, “Women are b****y”. Well, speak for yourself! I’ve met as many bitchy men as bitchy women and men who were terrible gossips and created problems in teams and organisations. There is this view that all-women teams are a nightmare to manage which has no factual basis, when there are tensions in a team the source has no gender and can be as much a man as it can be a woman. It is important to take a moment here as our cognitive bias can trick us. If there are tensions in an all-women team, the issue will be brushed aside as the reason will be attributed to the fact that it is an all-women team. If there are tensions in a mixed-gender team, we are more likely to try and understand what the root cause is and take appropriate action. What to do? Do not let the cultural, religious or gender bias drive your decisions and analyse the facts and only the facts. I invite you to watch Kristen Pressner’s TED talk and next time you’re tempted to conclude that the issue is down to women’s dynamics I suggest you #flipittotestit. Embrace who you are, that’s what leadership is all about. No matter what we say and however many feel-good quotes and goalcast videos in our newsfeed, leadership retain a masculine aura. That’s OK, an important skill for a leader is to face the facts and then take the appropriate action. So let’s face the fact that today leadership has a masculine connotation and let’s take action. This situation is not based on a quantifiable fact, leadership has NO gender, it is purely an idea, a cultural thing. There are as many leadership style as they are leaders therefore it is down to you to decide who you are as a leader. What to do? Develop self-awareness, with a neutral and benevolent approach assess your strengths and what you need to develop to become the leader YOU want to be. Self-awareness is the key to leadership development, I’ve seen it again and again with the women I work with: once they “know” themselves and how they work (the good, the bad and the ugly) a huge shift happens. They leap forward in terms of defining their leadership framework and their “operating system” and take off as leaders. But self-awareness is messy work that demands courage. I speak from experience, facing the flaws you have spent years hiding is hard, but to stop listening to your own BS is both liberating and a massive leadership accelerator. Here’s an article on how to develop self-awareness. Leadership is not about being a good public speaker or having freakin’ “charisma”. This is one big mix up. In some cases women tell me that they don’t have the physical stature expected from a leader. Come again? Is there a required height and weight attached to leadership? No. Does having a physical presence and being a good speaker help in the workplace, yes but it’s not leadership. Once again we are facing this question of a “masculine” view of leadership. Be wary that it doesn’t trip you over by, consciously or unconsciously, believing that to be a leader you need a more “masculine” posture. That is a killer: whenever you try to be what you are not you erode your authenticity and without it there can be no great leader. What to do? To be a leader focus first on your values and ensure you are aligned with them in your work. That is authenticity and that is a cornerstone of leadership because it has far more impact on the people around you than any “charismatic” speaker can ever achieve. Just be it. Take your power as a leader. You have the desire to be a leader. You’ve dropped the “good girl” posture and are going for what you want, what you believe in and how you want it without waiting for anyone to give you the nod. You are committed to your development as a leader through self-awareness. As a result you bring your entire self to work. As an authentic leader with clear values and a purpose your impact on your role and organisation is multiplied. You have taken your power as a leader. So next time you see me and I ask you “are you a leader?”, look me square in the eye and give a resounding YES! Because when it happens, and of course it does happen, man, it feels great!